A group of remarkable Ghanaian artistes are coming together to mark the fifth anniversary of the passing away of legendary musician, Mac Tontoh. Tontoh, a founding member of Ghanaian International music group, Osibisa, died after suffering a stroke at the Korle-Bu Teaching Hospital in August 2010. To celebrate what he stood for as a musician, his former bands mate, Bessa Simons and other great musicians, both young and old will be in a four-day tribute package slated for Thursday, August 20, to August 24 which will come off at the Gold Coast Restaurant, near Nyaho Medical Centre at the Airport Residential Area in Accra. The event will feature Kwame Yeboah and the OBY Band, Ofie Kodjoe, Okyeame Kwame, Gyedu Blay Ambolley, M.anifest, Pat Thomas and a host of others who will all perform an Osibisa material. 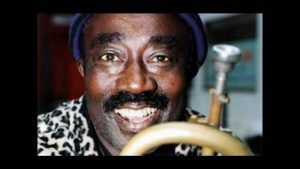 The event is being put together by Creative Storm Network in collaboration with the management of Gold Coast Restaurant.Trumpeter, Mac Tontoh of Osibisa fame died on August 16, 2010. According to Dr Kwesi Owusu of Creative Storm, who is putting the show together in collaboration with the management of Gold Coast Restaurant, some more artistes are expected to confirm their participation in the event soon. “Mac Tontoh was a bubbly character, well-known in the music fraternity and several musicians want to be part of the anniversary,” Dr Owusu said.